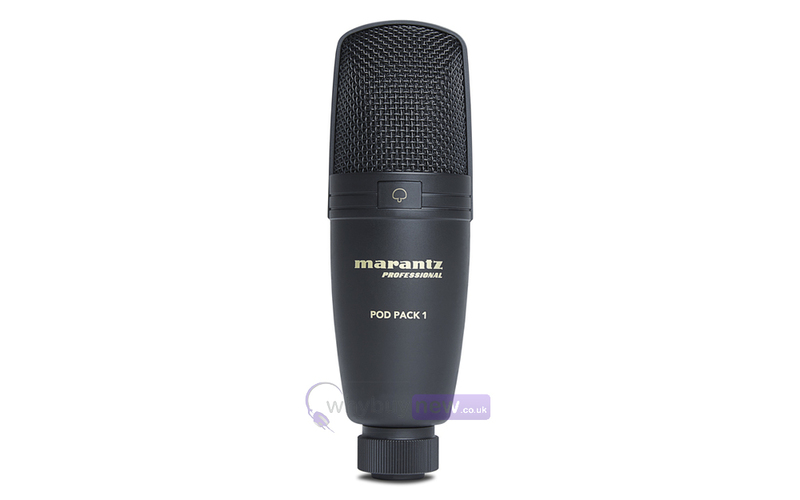 The Marantz Pod Pack 1 is a great value professional upgrade to any broadcasting studio. 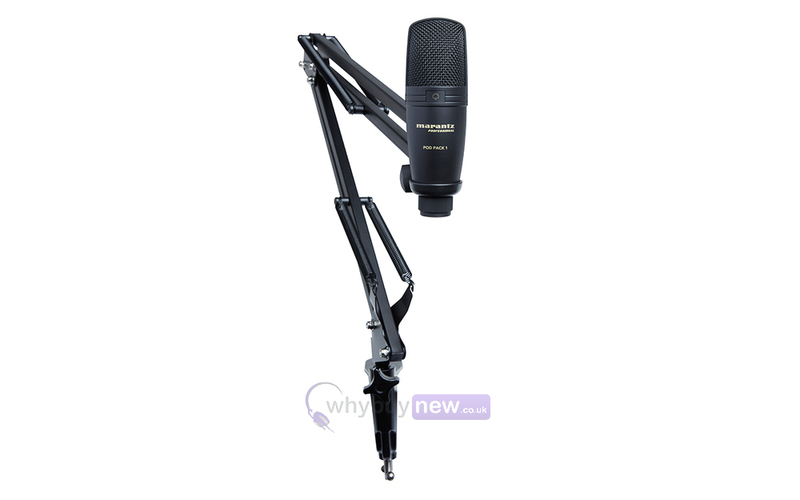 This fantastic kit includes a high quality USB condenser microphone paired with a fully adjustable suspension boom arm and comes complete with a clamp and USB cable. 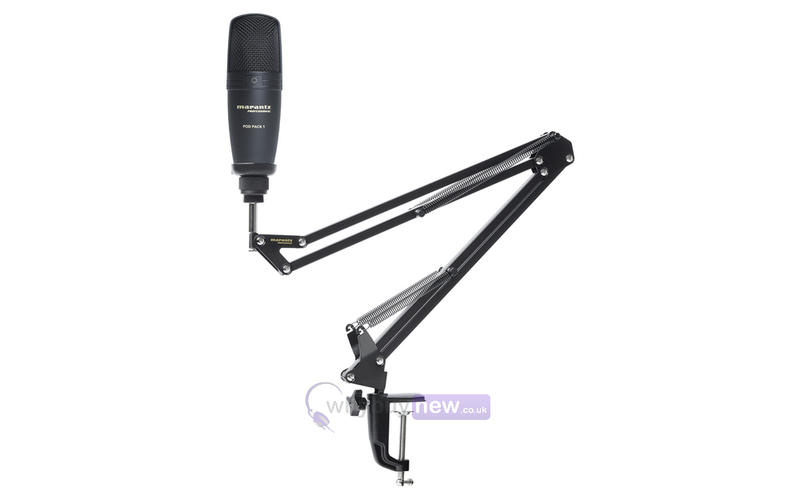 The adjustable boom arm allows you to keep desk areas clear and ensures the microphone is always in position for podcasting, on-air or voice-over applications. 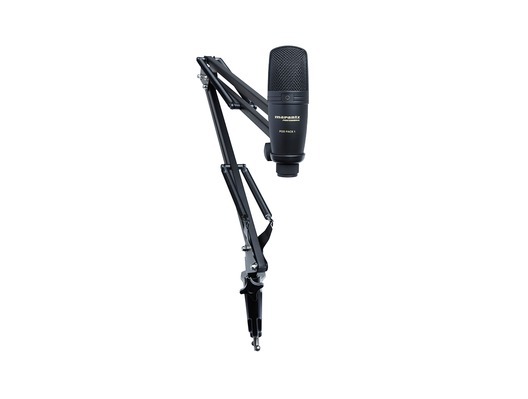 The microphone can even be suspended up-side down. 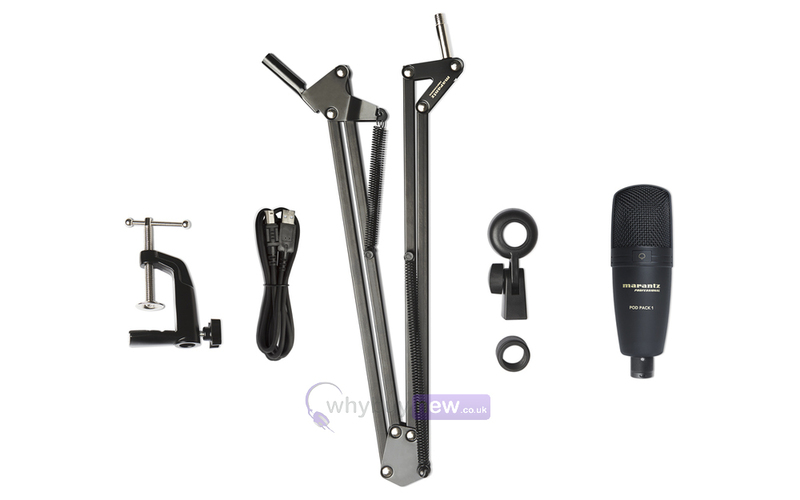 Assembly of this kit is quick and easy and the articulating boom clamps securely to nearly any desk or table surface. Here we have the Marantz Pod Pack 1 in brand new condition and in B-Stock. The B-Stock versions would have been on display at a training evening or trade exhibition only and will come boxed 'as new' with all accessories and a 1-year warranty.